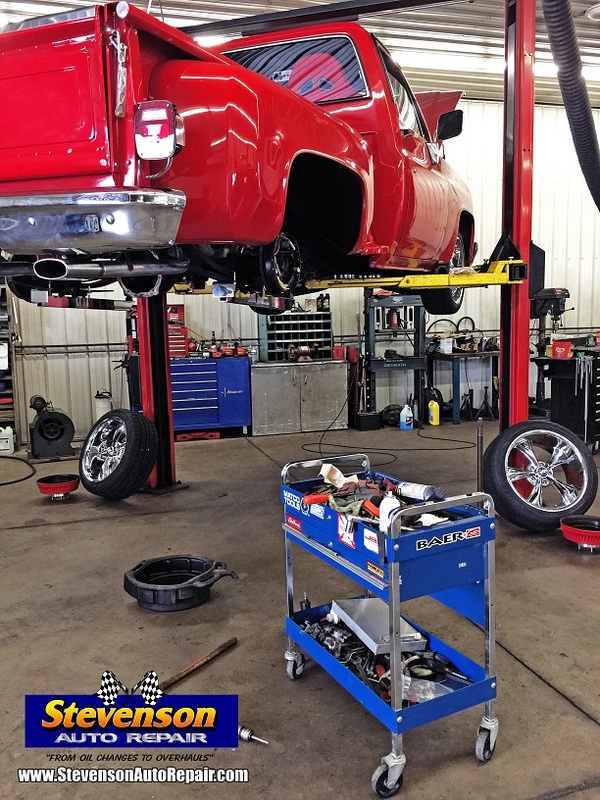 Last week, we had the pleasure of working on this '68 GMC. 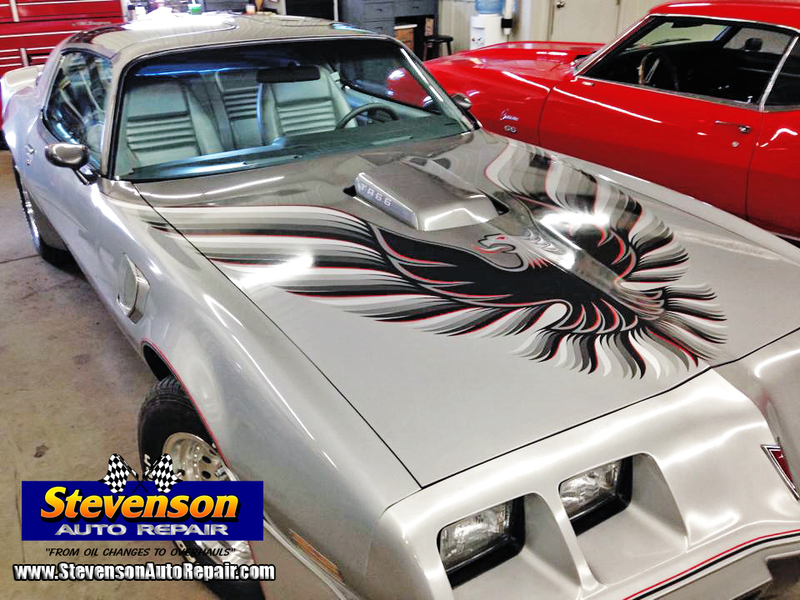 Here's another cool hot rod we've had the pleasure of working on this week. It's a 1962 Vette. 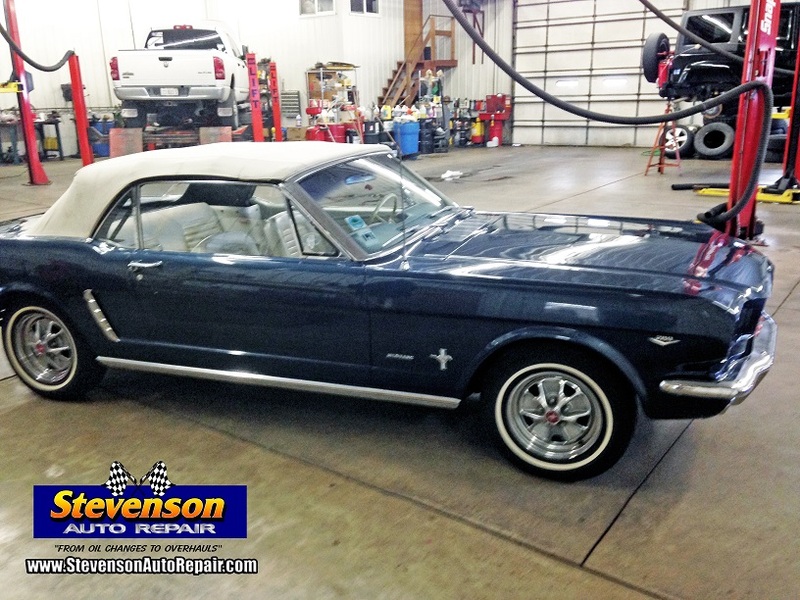 This hot rod was in for service this week. You don't see too many automatics with the DOHC engine. This nice little hot rod received a 3:73 gear set last week. It's always fun to up the performance! It's a beautiful day outside. 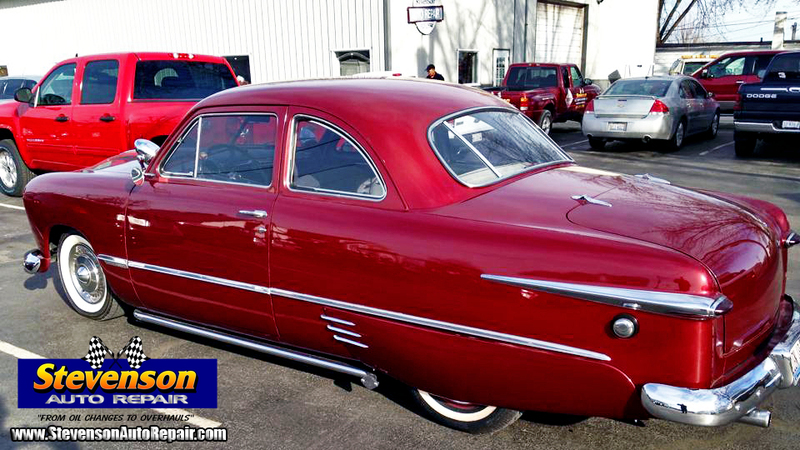 Spring is here and the hot rods are rolling in!! Schedule your appointment today! See more pictures of the process here. It's a busy day for the Blue Team over here. 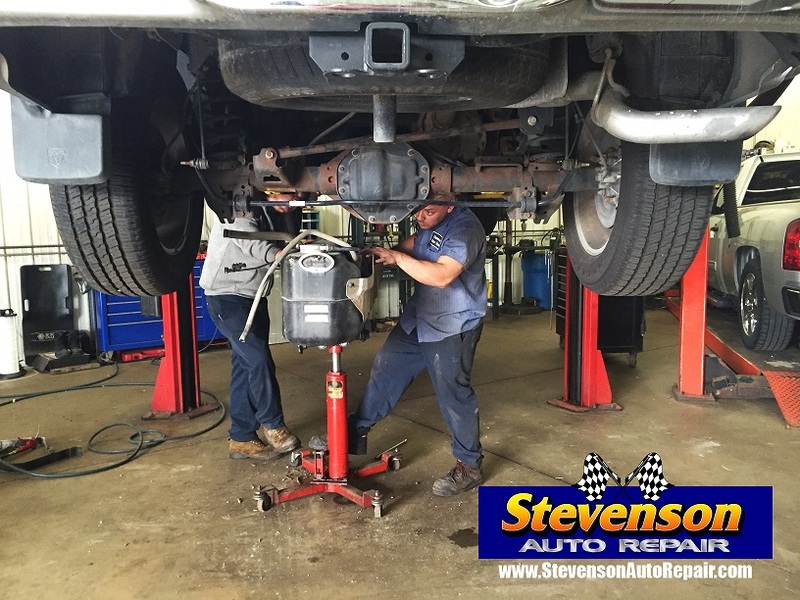 This transmission job is one of the several jobs we have going at the moment. Did you know?? 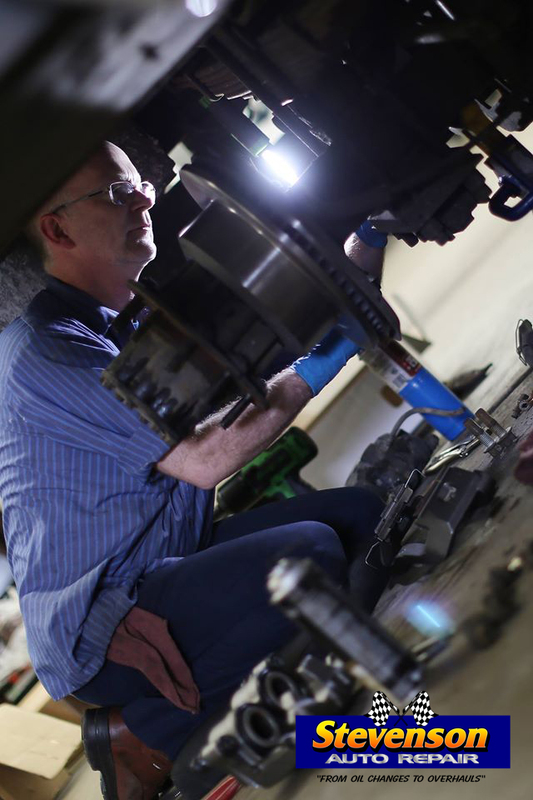 We are a factory authorized installer for Jasper Remanufactured Engine and Transmissions that come with a 3 year/100,000 mile warranty you can count on. 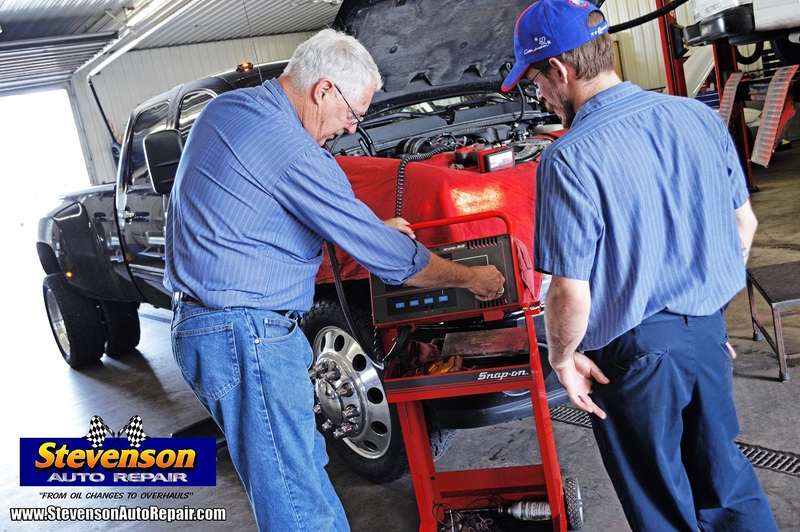 Do you have a new car and you're in need of an oil change? Not many people know, but you can bring it to us to have that service done and it won't void your warranty. The Blue Team is busy this morning. 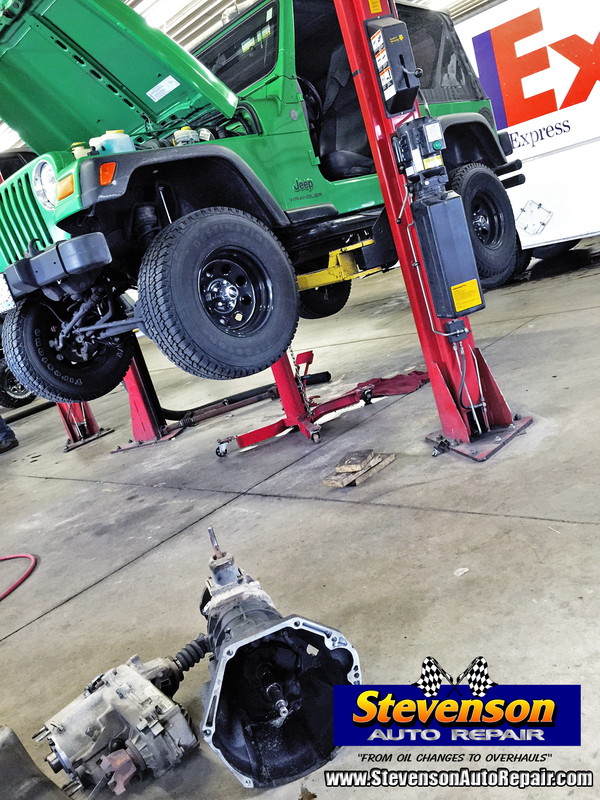 Ernie is replacing front axle u-joints on a Jeep. 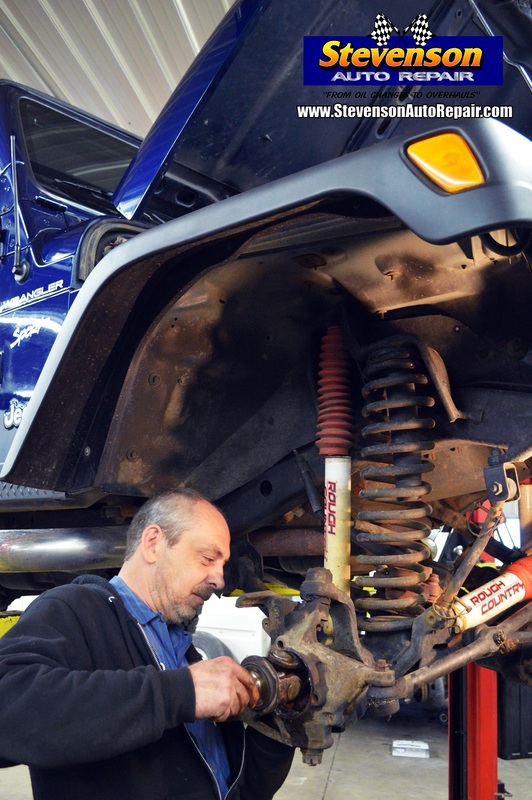 If you have a 4WD vehicle and need this service, we can do that. 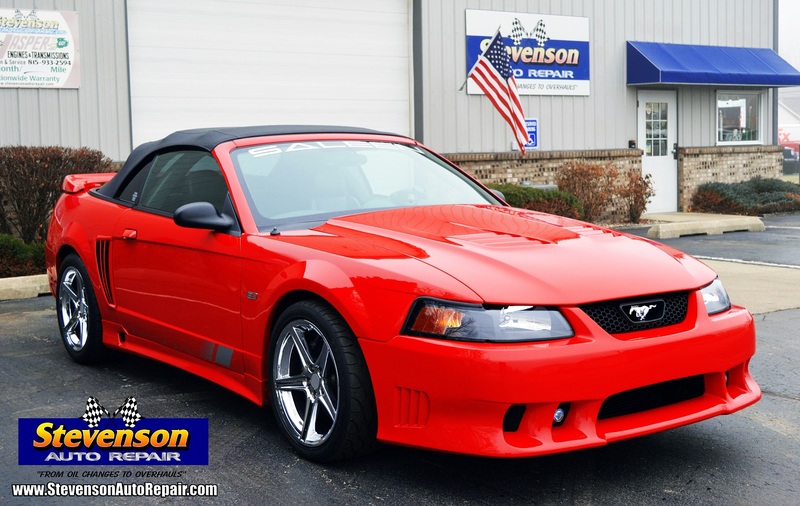 This week, we had the opportunity to work on this rare 2002 Mustang Saleen SC281 with only 11k miles on it. 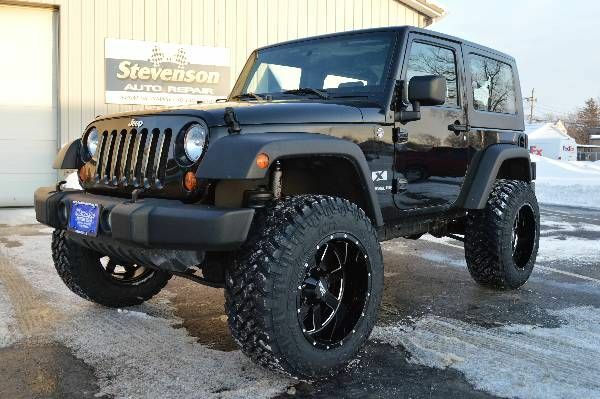 He came to us thanks to a loyal customer's referral. 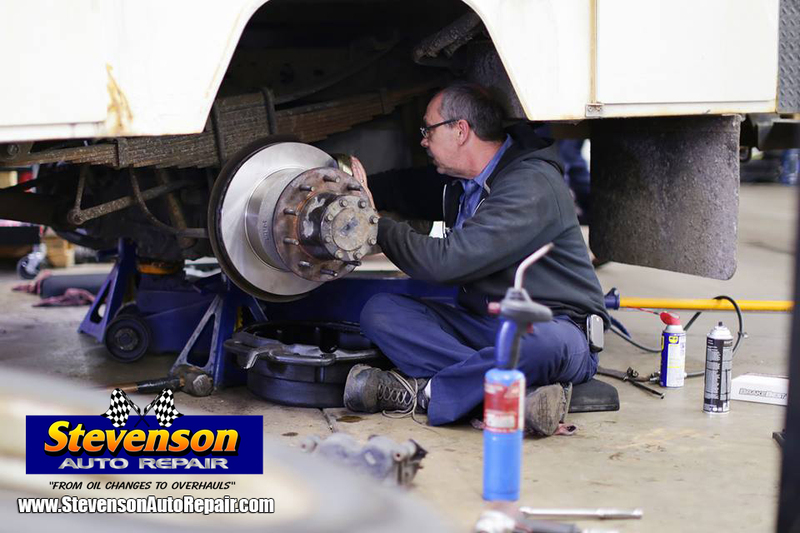 We want to thank all of you that come to us for service on your vehicle. We really appreciate your business. 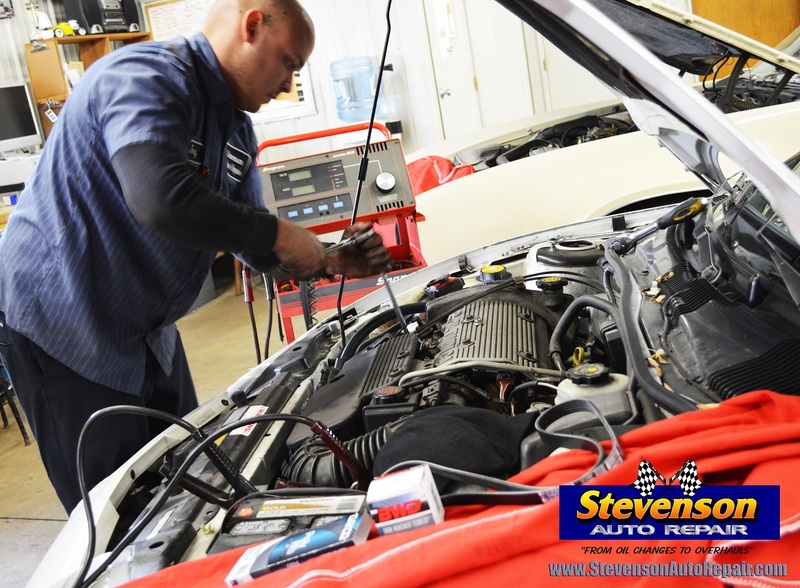 This is Joey repairing the charging system on one of our client's vehicles. We also found the source of a gas odor so we are replacing a leaky fuel pressure regulator. - Yeah, we do that. 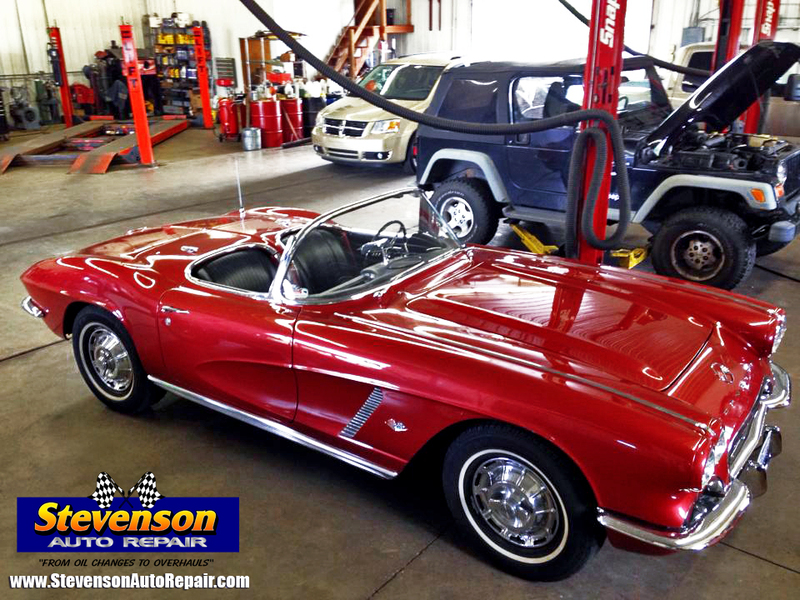 Please keep us in mind for your car care needs. 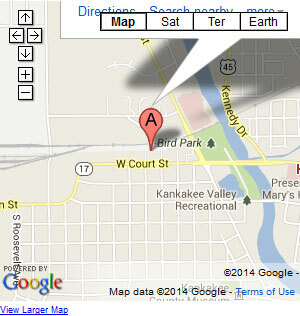 We have the best prices in town on name brand tires!!! 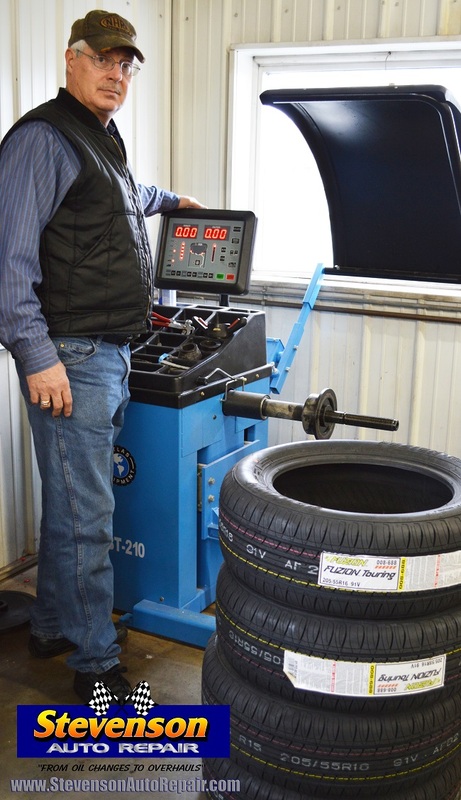 We use state of the art equipment to mount and balance them, as well as check and reset your tire pressure monitors. 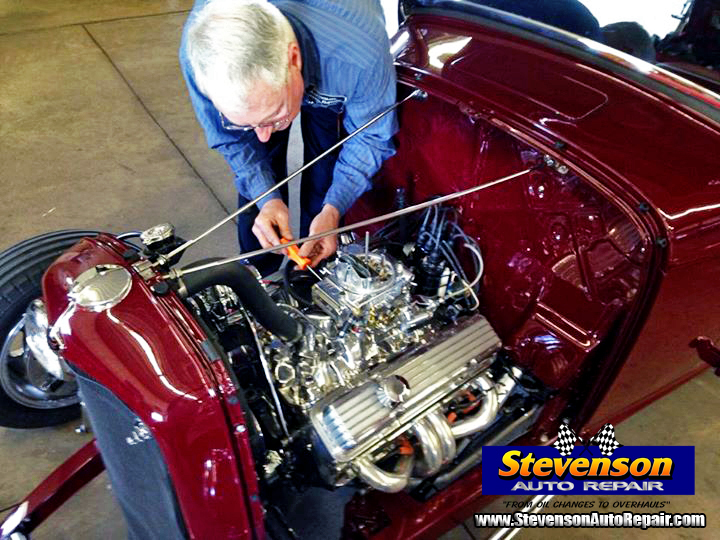 Experience the difference with Stevenson Auto Repair. 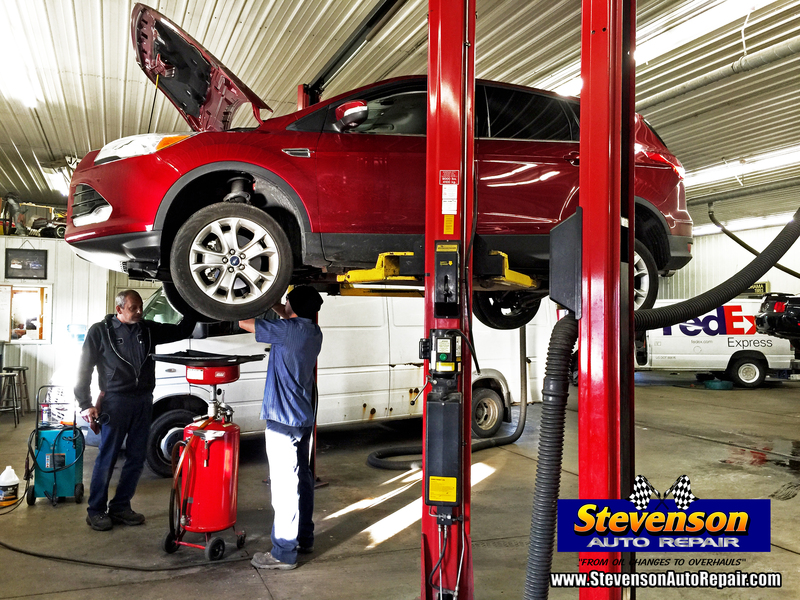 We are your number one source in the Kankakee County and the surrounding areas for quality, top notch auto service and repair. 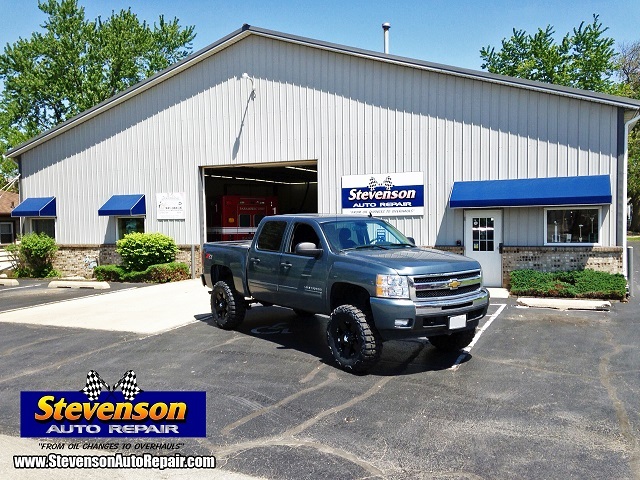 Whenever your vehicle needs service, repair or routine maintenance, call our office for quick, friendly service with a smile. 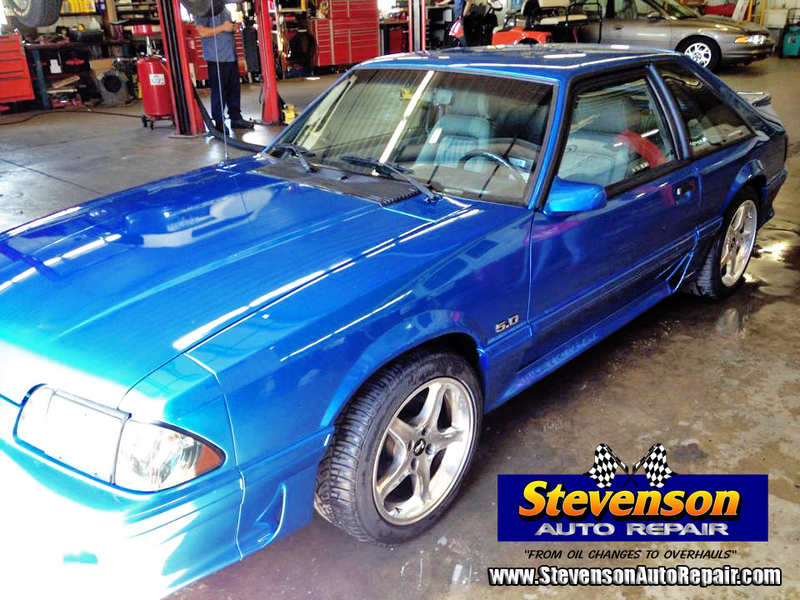 Our goal is to provide you with quality service and repairs, keeping you as a satisfied customer for years to come. 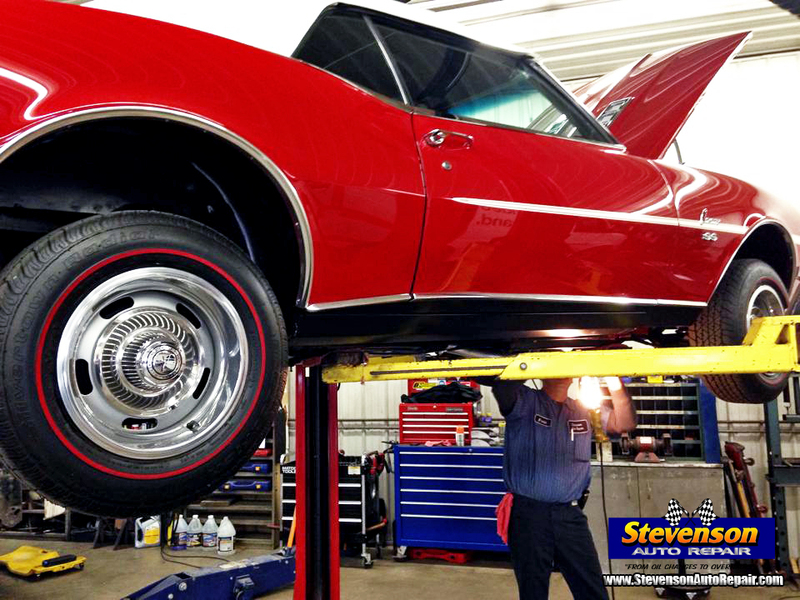 We use quality parts and state of the art equipment. 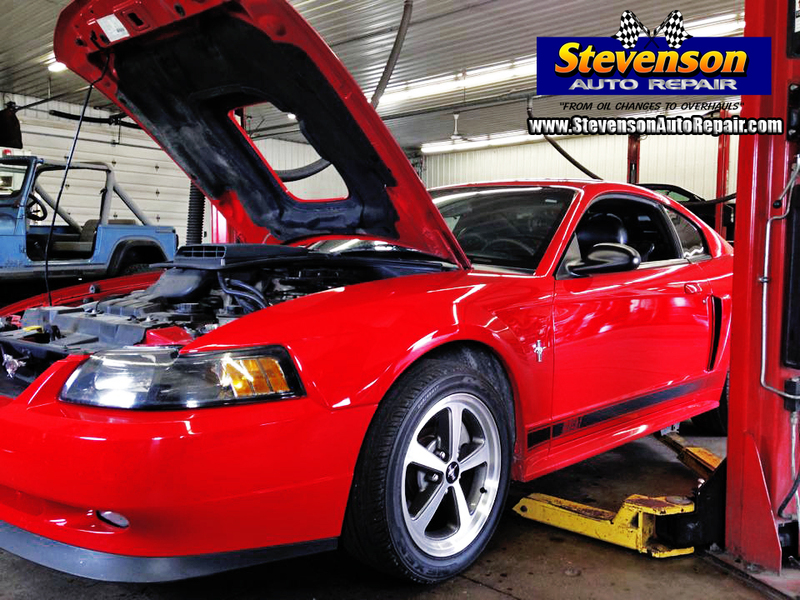 We employ trained technicians who are honest and efficient to provide you with peace of mind driving protection.Our staff at Stevenson Auto Repair offer you fast, friendly service and are capable of fixing your vehicle as quickly and efficiently as possible to restore your vehicle to factory specifications.